It was called a comic simulator back then and the truth is that it was the closest thing you could get. 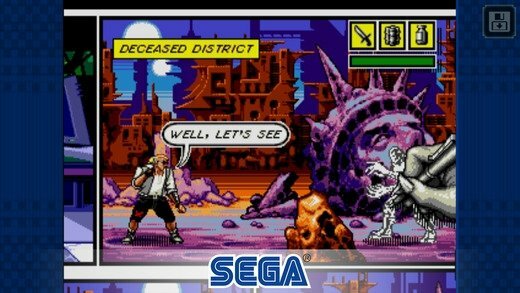 We're talking about Comix Zone, the great SEGA arcade game that placed in the shoes of Sketch Turner, a comic illustrator that's trapped inside one of his works. And to escape from the latter and the mess he was is, he had to jump from comic strip to comic strip, facing up against enemies drawn in real-time in each one of them. A real classic action arcade game. 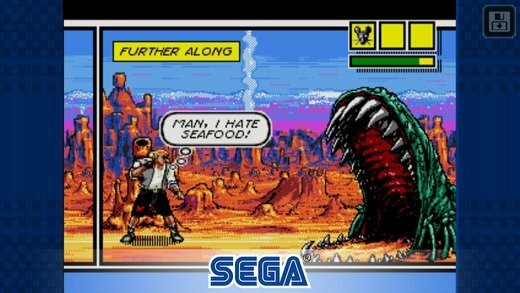 It was a game that was also released for both PC and Mega Drive, reaching a great success by adapting the classic beat'em up formula (games in which the main character advances along the scenario beating the hell out his enemies) to a concept that we don't usually associate with video games, such as the comic universe. Fight around all comic strips. Use weapons such as knives, grenades or paper planes. Find hidden objects with your pet rat. 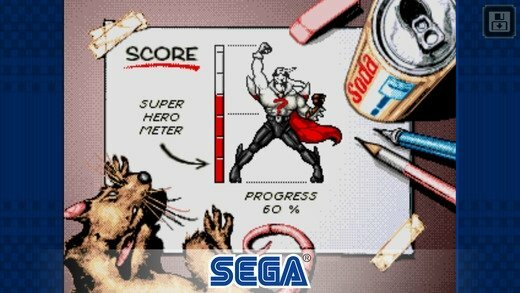 Gradually improve your skills to fight and defeat the mutants drawn by Mortus. Save your game progress whenever you want. You can play offline, you don't need an Internet connection. 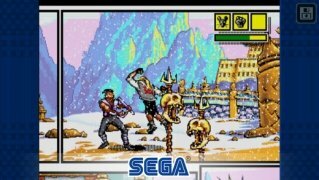 Well, now all the action of this classic video game is back on your iPhone, and also Android in APK format, thanks to the classic SEGA Forever collection that the Japanese company has just released. We're talking about a compilation of classic games that that includes this Comix Zone as well as Sonic, Altered Beast and Phantasy Star II, amongst others. 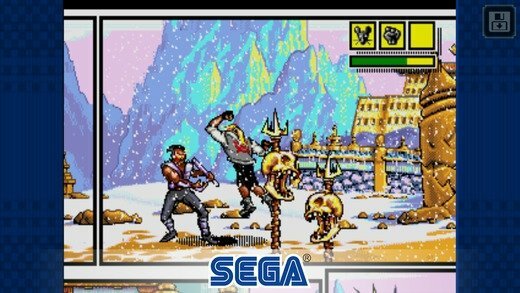 So, if you're between your late 20s' and mid-30s', it's a good chance to recall all those great moments you spent on your PC or 8 or 16-bit video console. But you'll also enjoy these games even if you've never played them before: they were great back then and they are still great now.